Without a doubt, Shopify is one of the most powerful and widely-used Ecommerce platforms around the world. With over 500,000 active stores on the Shopify platform, it’s obvious that this is one of the best Ecommerce platforms you can use. And if you’re determined to reach entrepreneurial superstardom in the Ecommerce industry, the best is what you need. After all, Ecommerce is one of the most competitive industries out there so you will need to pull out every marketing trick in the book in order to maintain an upward trajectory. One of these is, of course, Shopify SEO. Let’s break down the most effective SEO tips for Shopify that will drive traffic to your Ecommerce store. Search engine optimization is a delicate and complex process, one that uses on-page as well as back-end optimization to improve user experience (more on that in a bit), and feed the algorithm with positive signals such as a low bounce rate and high customer engagement on your site. To achieve this, start by optimizing your store’s structure with carefully-organized content. Remember, shoppers are looking for a quick and easy way to find the products they’re looking for, assess whether or not the product is good for them, and make a purchase without having to jump through hoops. 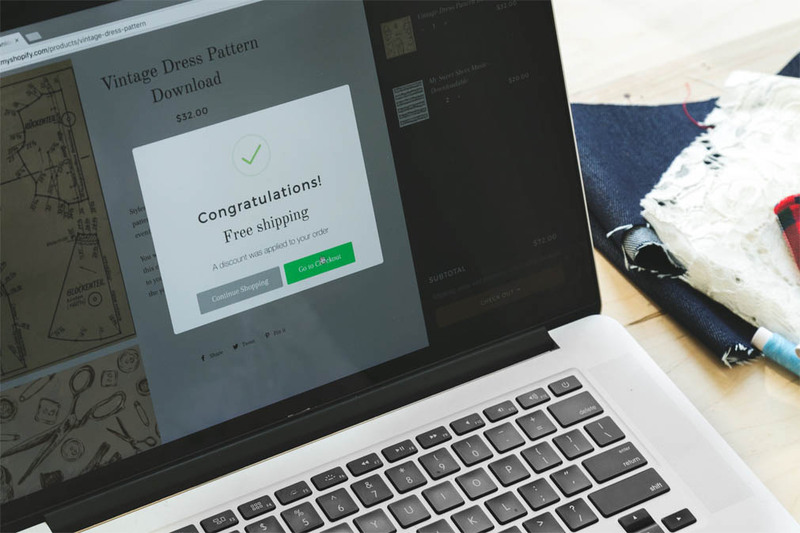 Making your Shopify store as simple and straightforward as possible will help keep your customers on your site longer, and incentivize them to make a purchase. In turn, this will tell the search engines that you have something of true quality to offer to your visitors. Easy navigation is one of the more important elements of a user-friendly Shopify site, but it’s still a single piece of the puzzle. Let’s say that your store’s content is categorized in a straightforward manner, what else can you do to improve user experience? Well, you can improve your site’s speed to make it more accessible. Ecommerce sites are notoriously cumbersome, and they can take a long time to load due to the sheer amount of content they have on every page. Remove extraneous apps and plugins. Use a mobile-friendly theme that emphasizes AMPs (Accelerated Mobile Pages) to make your site scalable on any device. Invest in a top-notch hosting service. Keyword research and implementation is the cornerstone of SEO, and should therefore be one of your top priorities. After all, search engine optimization is a long-term marketing strategy, one that aims to build your Shopify store’s authority in the online world over time. It’s about quality, recognition, and most importantly, authority in a saturated market. This is exactly why conducting keyword research is among the most effective Shopify SEO tactics you can implement nowadays, because it will allow you to target and rank for competitive phrases and improve your standing in the SERPs. You can achieve this by selecting a number of keywords relevant to your niche and business, and then weaving them into your entire website. Be sure to include keywords into your entire web copy, as well as the content on your blog. Refrain from stuffing your keywords, though, because Google will notice. Speaking of content, every Ecommerce store needs to have one. Even though its importance is not emphasized in the Ecommerce circles because more attention is given to PPC campaigns and optimizing the site’s structure, your blog page still plays a vital role in building your authority in the industry. In fact, it’s an SEO goldmine just waiting to be dug up. There are numerous ways in which you can revitalize an inactive blog page, and make your content engaging and interesting to modern shoppers. The key is to shift the focus from your products to solving the unique problems and pain-points of your demographic. Figure out what people want to know, write stories surrounding your products instead of advertising them directly, and weave the related keywords into the copy to appeal to both readers and search engines. In turn, this will further disseminate your store across the web, and keep the readers engaged. And finally, disseminating your brand around the web is another important piece of the SEO puzzle. Particularly, you should strive to build domain authority through a powerful SEO tactic called white-hat link-building. This is a time-tested tactic marketers use to associate other authority domains in an industry with the target domain, in this case your website. When you guest post content on another website, you should ask that the owner links back to your site in return, and thus effectively share their authority with your store. Refrain from black-hat link-building, though, as it may hurt your standing in the industry when Google finds out. Shopify is one of the, if not the most popular Ecommerce platform in the world, and if you’re on it, you’re already ahead of the curve. That said, you still need to invest in digital marketing in order to remain competitive. Be sure to incorporate these SEO tactics into your marketing strategy in order to pave the road to a bright future in the field.